solution for fast, flexible product development and production. We develop optoelectronic components for industry which are used as light sources in technological set-ups. Simply put, that means we produce LED drivers which have to work reliably non-stop – even in the most uniquely challenging environments. Whether in extreme tempera- tures, under fierce radiation or through corrosive chemicals, our digitally controllable LED drivers operate reliable technical lighting in countless different applications. 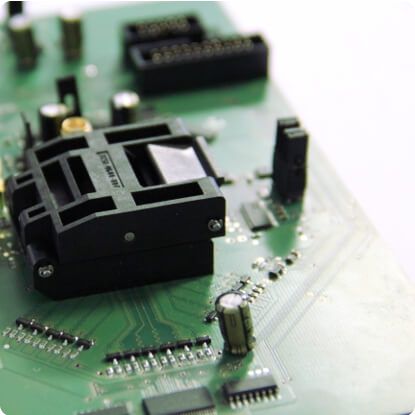 As your personal development partner for ODM solutions, we at dilitronics engineering have the right know-how to build electronics for your product and help it rise to success. Why use LED technology in your technical facility? Which new challenges does this evolving technology present?